Below you can view all the townhouses for sale in the Brookside Commons subdivision located in Norcross Georgia. Listings in Brookside Commons are updated daily from data we receive from the Atlanta multiple listing service. To learn more about any of these townhouses or to receive custom notifications when a new property is listed for sale in Brookside Commons, give us a call at 404-998-4059. Fee Simple Townhome With Extremely Low Monthly Hoa Dues.New Elementary School.True Showcase Home MLS#6516981. 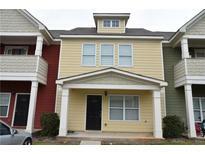 Atl 1 Realty, Llc..
Lots Of Cabinets, Lots Of Storage Fee Simple Town Homes With Extremely Low Monthly Hoa Dues! Location! Location! MLS#6516959. Atlanta Maxim Realty International. 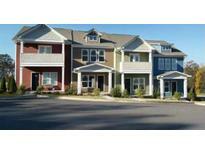 Fee Simple Townhome With Very Low Monthly Hoa Dues.Walk To All Amenities,New Elementary School. Don'T Miss This Gem! MLS#6501507. Atl 1 Realty, Llc..